Visual Studio is an enterprise integrated development environment from Microsoft. In the past, Visual Studio did not have a free edition, and the first edition cost about 500-1200$, while the Enterprise Edition costs more than 10,000$. In November 2014, Microsoft for the first time announced that it would offer a free version called Community Edition. Since today we are speaking about WordPress development, it is important to say that Visual Studio supports more than 30+ programming languages, but not PHP. Just because of these two facts, price and PHP support, the Visual Studio are very little used by the WordPress community. But thanks to DEVSENSE and their addon, PHP Tools for Visual Studio, we can say that nowadays the Visual Studio is one of the best IDE for WordPress development. 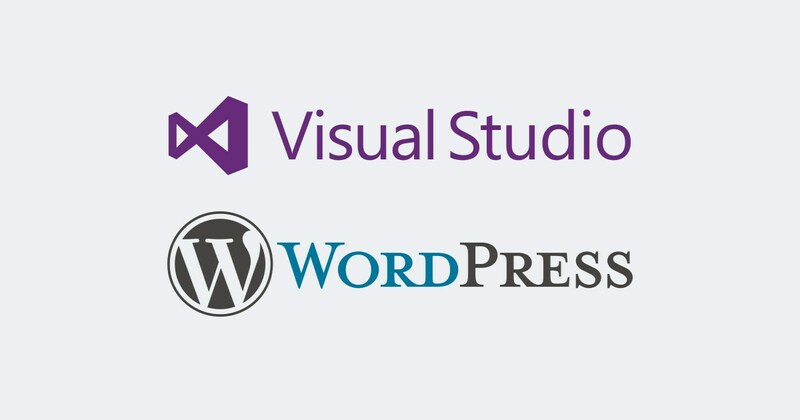 The reason for this post is that the next month we are starting a series of tutorials for WordPress development and in those tutorials, we will use Visual Studio and PHP Tools for Visual Studio. Another interesting information is that we use VS every day, whether it’s a C #, C ++ or PHP project. If you have doubts about the possibilities of Visual Studio for WordPress development, instead of showing you some features with images, we’ve decided to show you two videos so you can have a better vision of the quality. In the first video, we have a WordPress site in which we will make a simple plugin, create a database, install a Composer package, do a simple debugging and at the end we will push the changes to Github. This video is just a simple presentation to make sure that this is all very smooth and trouble-free in Visual Studio without getting “lost in the space” or using another tool. In the second video, you can see numerous powerful features that will help you write, organize and increase your overall productivity. The two videos show the quality of 6 of the total seven factors, so here are some images for HTML, CSS, JS IntelliSense. We have already mentioned that the Visual Studio Community Edition is free, while the price for PHP Tools for Visual Studio is 79$ for the first year and 49$ each subsequent year for the overhaul. If we compare it to some other commercial IDE, the price is rather low. Let’s take PHPStorm as an example, one of the best IDEs on the PHP development market, made by the company JetBrains. The price of PHPStorm is 199$ for the first year, 159$ for the second and 119$ for subsequent years. We did not accidentally take PHPStorm for example. The JetBrains Company initially had been making add-ons for Visual Studio and knew the Visual Studio quality, which one way or another is implemented in PHPStorm. There are many IDEs for WordPress development and each developer, habitually, is attached to his IDE. Don’t be someone who is afraid of trying something new, you can only get a benefit and to not waste a lot of time searching for something new, we recommend that you try Visual Studio + PHP Tools for Visual Studio. PHP Tools for Visual Studio has a free trial of 30 days, quite sufficient to make sure of the quality. In a case of problems when installing or setting up, subscribe to this blog, the next post is on the topic “How to set up a local development environment using Visual Studio, PHP Tools for Visual Studio Mysql and Apache web server” exactly like in our first Video.